This luxury Grand Soleil has been designed from the naval architect German Frers renowned for designing successful racing yachts and luxury yachts like Nautor Swan, Hallberg Rassy, Wally. They write about him: Yacht designer German Frers is one of the best signatures for a sailing yacht; every Frers design is an outstanding example of the art. This Grand Soleil was built in the italian boatyard "Cantiere Del Pardo", that has over 40 years experience in building top level sailing yachts, renowned for their strenght, for their marine character and for their speed. This yacht, with its 24 meters long mast, can easily reach 10 knots of speed under sail. The boat has circumnavigate the globe and has been totally refitted and upgraded in New Zealand in 2011 from a famous boatyard during 8 months full time work and now is available for chartering in Palawan. You can choose easy sailing in coastal island hopping like in El Nido, Coron, Linapacan, or serious sailing to the outer Cuyo islands may be looking for the perfect private kitesurfing spot. The boat is equipped with 120 liters per hour watermaker and a 4,20 meters dinghy with 4 stroke 70hp engine, 40knots of speed. Prices may change. 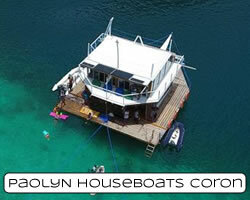 Confirm rates for your dates with the boat owner/charter company. Some boat operators only provide their rates under request. This Grand Soleil German Frers in images. These pictures were provided by the boat owner. Contact the owner if you want to get more pictures or specifications. Contact the operator of the boat.